There are many good reasons to outsource your website’s Search Engine Optimization strategies to a professional. While programs like WordPress make it easy to install plugins to to help with SEO they don’t tell you what keywords are right for your target market. It also doesn’t assist with ensuring optimum traffic and conversions. SEO companies can take a great burden off business owners by already knowing best practices and going over metrics, like Google Analytics, to properly promote a website. They are also more skilled at adjusting individual pages to increase conversions of visitors to sales. In addition, the game is always changing with new algorithms being introduced and new strategies overcoming constant obstacles. Lastly, local SEO has become just as important and has a whole other set of rules for itself. Ultimately, you are probably better off relying on an expert in SEO, unless your company can run itself and still create quality products because it will become a full-time job. Most people prefer to be able to meet face to face to ensure their SEO campaigns are on track and stay up-to-date on progress. However with video conferencing technology the geographic barrier is easily overcome. If you are comfortable with a long distance business relationship then don’t limit your choices to your area. This may be particularly helpful if you are trying to break into a key market in a new area. 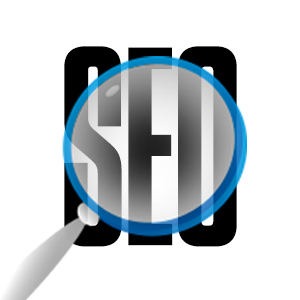 Though you don’t have to be close to your SEO company, it might benefit you if they are located near a target market. Even if you are right next door to your SEO company working with them can be difficult if they do not communicate effectively. You should be updated on progress fairly often and your questions or concerns should be attended to in a reasonable time. Even if you can’t reach them 24/7, calls and emails should be replied to in some manner within a day. SEO is a constantly changing field. Your agency needs to exemplify that they can keep up with new technology and techniques. The best way to determine if a company is staying abreast of the latest in SEO look for white papers they’ve written, social media post about seminars they’ve attended, or their blogposts about new techniques. Because SEO is an ongoing process you want to find a company that you can rely on for the long haul. However, you want to be careful about getting stuck in a long term contract with a company that you are unsure about. When first contracting a new company it’s best to start with a contract for a few months to see if they can provide the results you desire. Once you sure they can produce, go ahead and commit all you want.